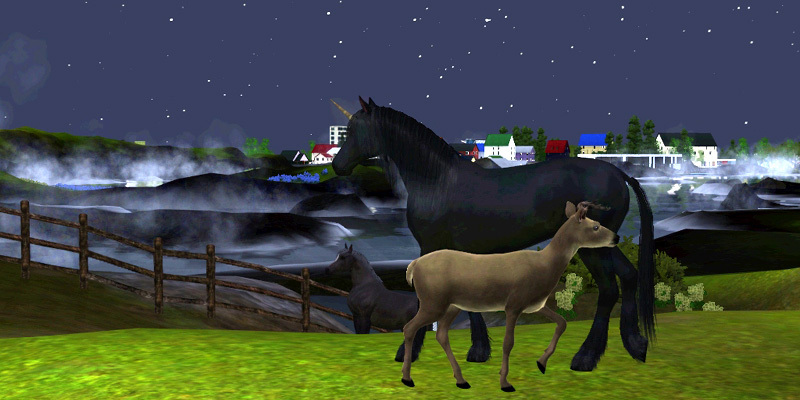 Everything about unicorns for The Sims 3 Pets. I usually just keep them clean, brushed and blessed, then leave them on their own. 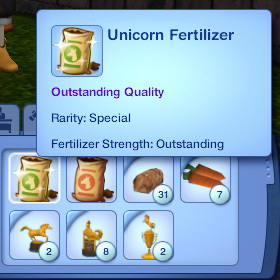 When a sim cleans a box stall after a horse has peed in it, a Horse Fertilizer goes into their inventory, varying in quality up to Outstanding. The unicorn version is always Outstanding. Buying the Gardener’s Delight Lifetime Reward makes no difference. Horses can lick both the Celestial Salt Lick Lifetime Reward and the normal Salt Lick. One of the Sims 3 Pets gnomes, Zenyatta (the horse gnome), might spawn whenever a horse licks a salt lick. Zenyatta will spawn produce on your lot. This is either annoying or a good source of carrots. Oh deer, a horse and a unicorn! Unicorn colours are black and grey. You can change your unicorn’s coat colour via Edit Saddle. Wild unicorns have a proper name with the last name “Horse”. All unicorns have maxed Racing and Jumping. I’ve only encountered one unicorn without the “Brave” trait; she was “Nervous”. It doesn’t matter if you’re a virgin, but being Good or Evil will affect your relationship with a unicorn. 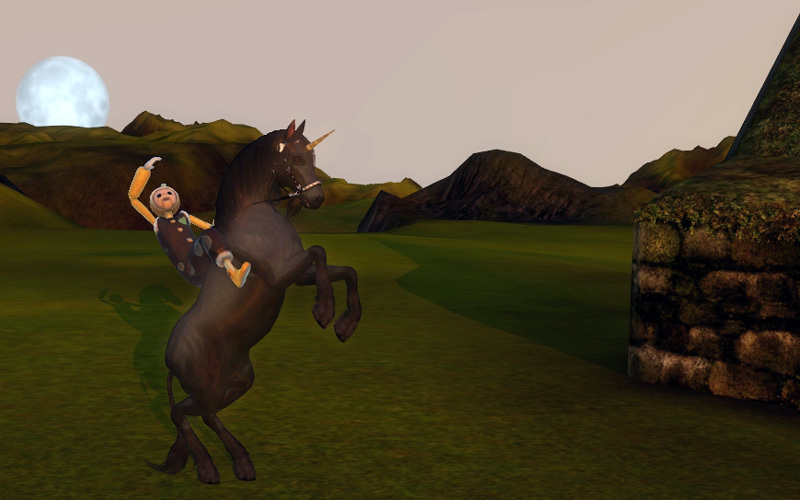 It’s greatly more difficult for an Evil sim to tame a unicorn. If there is a herd of wild horses, the unicorn may be amongst them, even in the day. Yes, “the” unicorn. There can be only one! There’s a 33% chance that the unicorn will spawn each night at 8 pm, hanging around until 5 am. They will spawn in a corner of a “fishing spot” lot, but do not always spawn in the same lot. There will be a shining cloud streaming down sparkles on the unicorn visible from map view. ♥ Start in a new neighbourhood. ♥ Change all but one of the fishing spots to other lot types. Fishing spots have their own icon in map view, but are marked as community lots in Edit Town, so go to map view and scout them out first. ♥ Set the fishing spot as a hotkey. ♥ Check every 8 pm. A wild horse may spawn first. ♥ Once a unicorn has spawned, changing lot types won’t change its spawn location. To spawn a different unicorn – if you want a different colour/traits – start in a new neighbourhood or adopt and release the current one. Only one wild unicorn can exist per neighbourhood, just as there can be no more than four wild horses. Unlike wild horses, the Riding skill is not required. To get the “Invite Unicorn to Join Household” interaction, you need to be friends with the unicorn. My Equestrian Sim does it with a hand sniff and a bribe of a carrot/gourmet snack. My new sim took a lot longer. In spite of what you might think – having one of each terririum, being friends with one of each animal, watching wildlife – all this means is that you must have three pets which are a) owned and b) Best Friends (Remember: Friendship is Magic). Any combination of pets will do, even three horses (or three unicorns). Although you can develop a relationship with a bird, you can’t be Best Friends. You don’t have to be Best Friends with the unicorn. Mustang Master does not affect unicorns (you do not get to choose a trait). testingcheatsenabled, shift-click on the unicorn to “add to active family” works, just as it would on a sim, but doing this will not fulfil “The Fairy Tale Finder” Lifetime Wish. All unicorns have a hidden pool of magic, which takes six hours to fully recharge. Using testingcheatsenabled to remove the Power Failure moodlet will cause the unicorn to lose access to magic permanently. ♥ Bless Flora – Advance a plant to the next growth stage; chance of turning into life fruit; revive a dead plant like a sim with Green Thumb (basically only useful for Death Flowers). 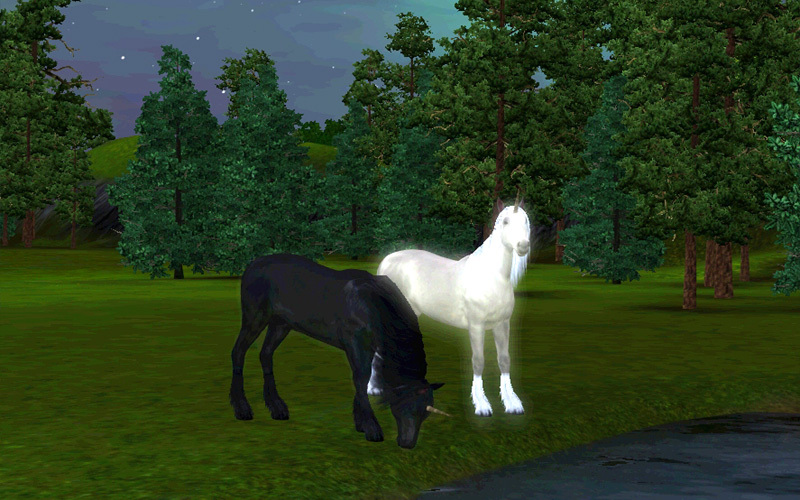 Like lifestates for sims, mating a unicorn with a horse has a 50% chance of the foal being of either lifestate.